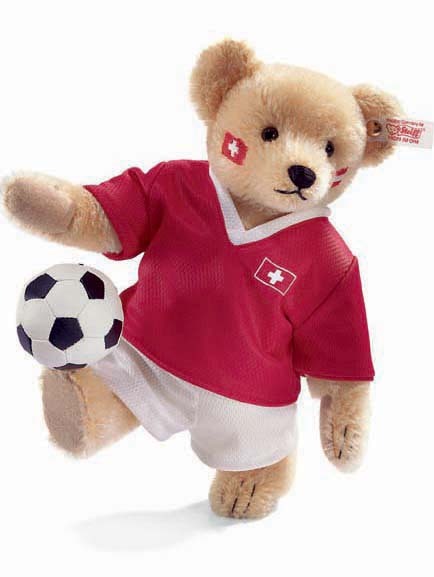 This bear is made for Switzerland and Austria in 2008. The bear is 28 cm. / 11' tall and limited to 1500 pieces. The shirt is interchangeable (one side Austria, reverse Switzerland). This bear is made for Austria in 1995. The bear is 32 cm. / 12.8" tall and limited to 1.500 pieces. This bear is made for Austria in 1996. He is made to honour the 1.000th anniversary of Austria. The bear is 35 cm. / 14" tall and limited to 1.500 pieces.